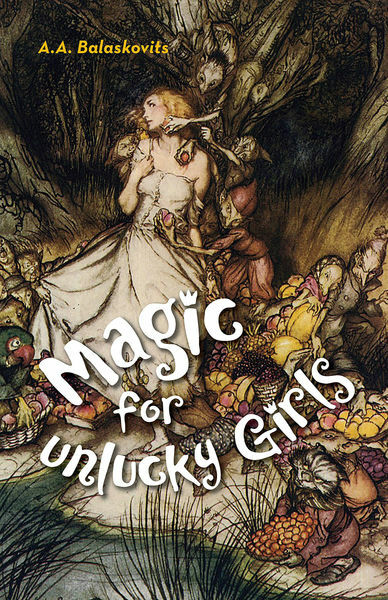 The fourteen fantastical stories in Magic For Unlucky Girls take the familiar tropes of fairytales and twist them into new and surprising shapes. These unlucky girls, struggling against a society that all too often oppresses them, are forced to navigate strange worlds as they try to survive. From carnivorous husbands to a bath of lemons to whirling basements that drive people mad, these stories are about the demons that lurk in the corners and the women who refuse to submit to them, instead fighting back—sometimes with their wit, sometimes with their beauty, and sometimes with shotguns in the dead of night. Bug (Grade: B–) A fun (and dark) set of short stories, most of them retellings of fairy tales. Some of the stories were better than others.